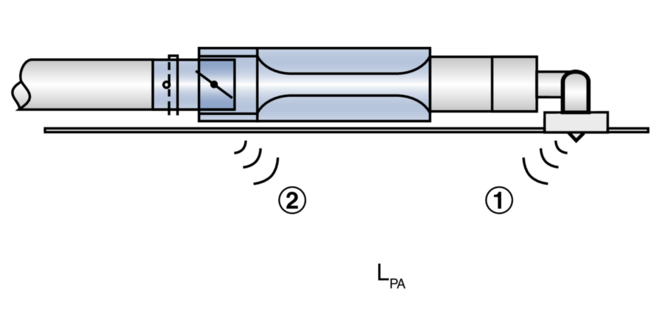 The control components (attachments) include a differential pressure transducer that transforms the differential pressure (effective pressure) into an electric signal, a controller, and an actuator; the control functions can be achieved with an Easy controller, with a Compact controller, or with individual components (Universal). 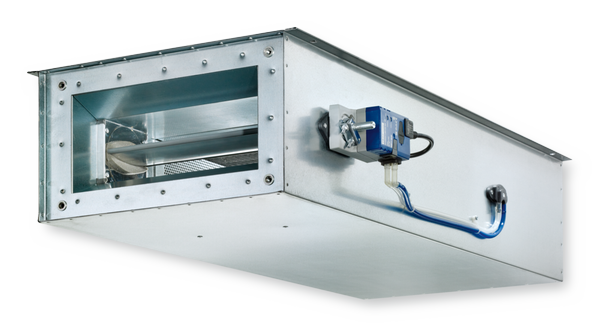 An integral attenuator reduces the noise that is created by the restriction of the airflow. 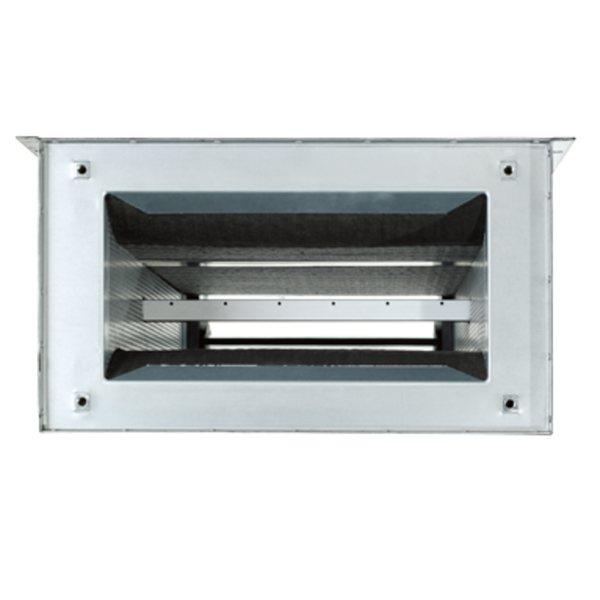 Rectangular VAV terminal units for variable and constant air volume systems for demanding acoustic requirements, suitable for extract air, available in 5 nominal sizes. High control accuracy even in case of unfavourable upstream conditions. 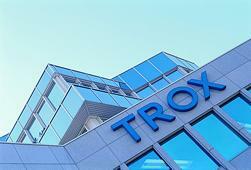 Ready-to-commission unit which consists of the mechanical parts and the electronic control components. Each unit contains an averaging differential pressure sensor for volume flow rate measurement, a damper blade, and an integral attenuator. Factory-assembled control components complete with wiring and tubing. 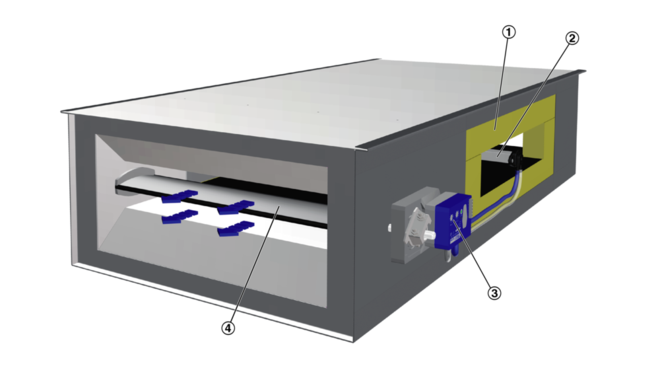 Casing with acoustic and thermal insulation. Complies with VDI 2083, clean room class 3, and US standard 209E, class 100. 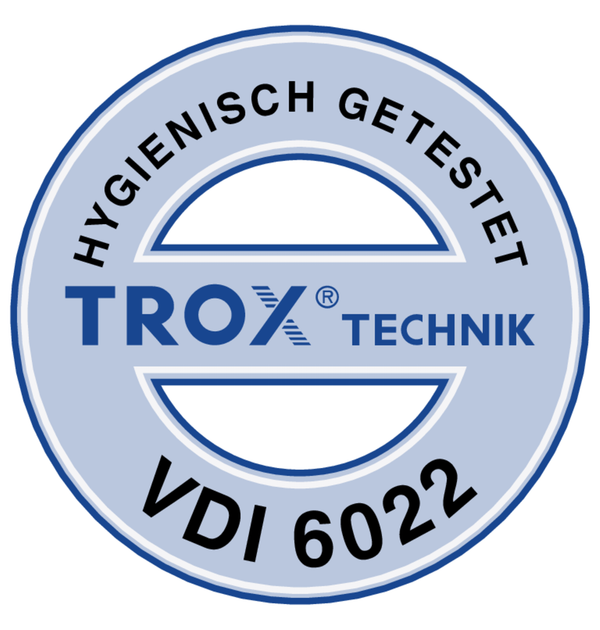 Hygiene complies with VDI 6022, DIN 1946, part 4, as well as EN 13779 and VDI 3803. 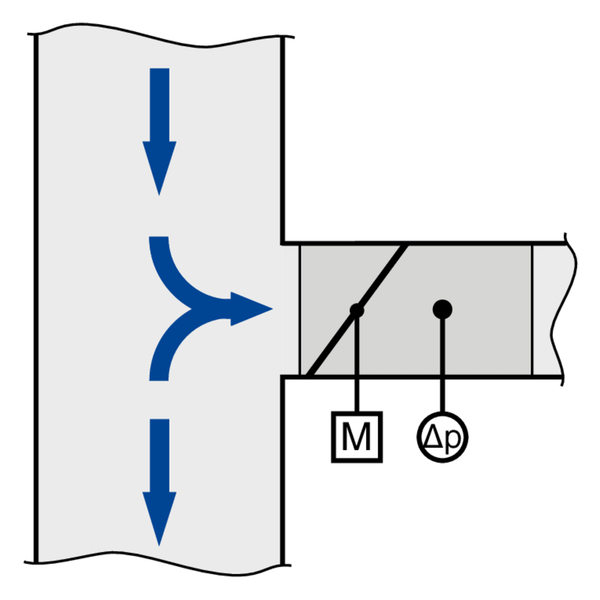 A bend – without a straight duct section upstream of the VAV terminal unit – has only a negligible effect on the volume flow rate accuracy.